Tonight, those of us in North America will have front seats to one of the most amazing views that Earth has to offer—A total Lunar eclipse. 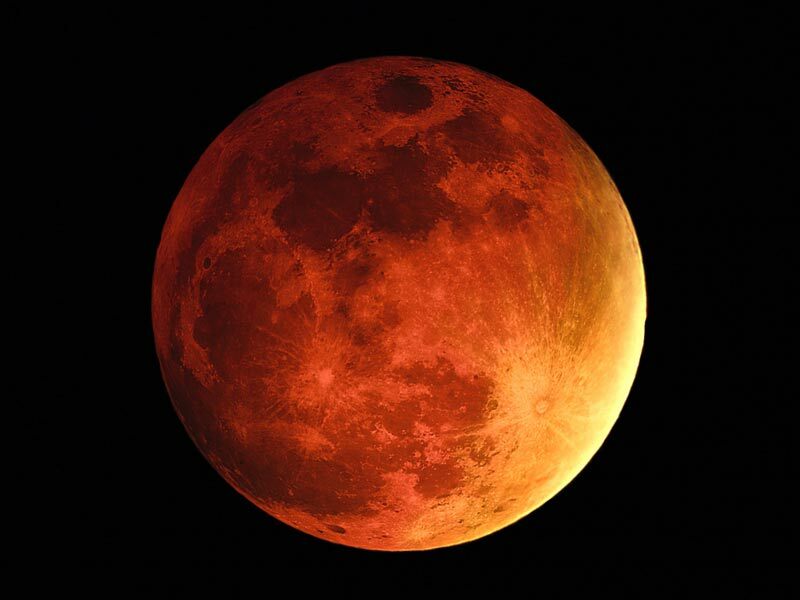 During a total Lunar eclipse, the moon appears coppery and reddish, this is often called a “blood Moon.” This happens because, during a full eclipse, the sunlight that hits the moon has to pass through the Earth’s atmosphere. As a result, it makes the Moon look like it is glowing red. It is a pretty spectacular thing to witness. To add to this amazing show, Mars will appear brighter and bigger than it has in almost 6 years, so you definitely won’t want to miss this. If you live in North America, you will need to stay up a bit late in order to see the show. The eclipse will begin at 12:54 a.m. ET and last through 6:38 a.m ET. 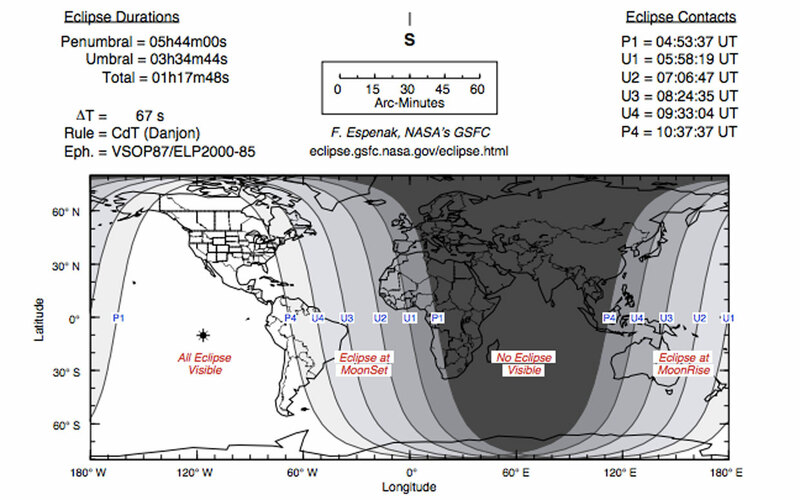 The moon will fall completely behind the Earth’s shadow between 3:07 a.m. and 4:25 a.m. Fortunately, you don’t have to be in North America to see the eclipse, you will be able to see it from portions of Central and South America. Going to miss this one? Don’t worry to much, according to NASA, this total eclipse will be followed by another on October 8th, and another on April 4th and September 28th of 2015 This is known as a “tetrad,” a series of 4 consecutive total eclipses occurring at approximately six month intervals. “The most unique thing about the 2014-2015 tetrad is that all of them are visible for all or parts of the USA,” notes NASA eclipse expert Fred Espenak. The map below will show you whether or not you will get a glimpse of it. As I am type-type-typing away, it happens to be raining buckets. This does not bode well for tonight’s show. Fortunately, for those of us who have to compete with poor visibility (or who don’t live in areas where the eclipse will be visible), we can watch online. NASA will be covering the show on NASA TV and also on “Up All Night” chat, which both start Tuesday at 1 a.m. ET. You can also watch at Slooh, which begins coverage 2:00 a.m. ET Tuesday morning. You can learn more about tetrads by watching the NASA video below.